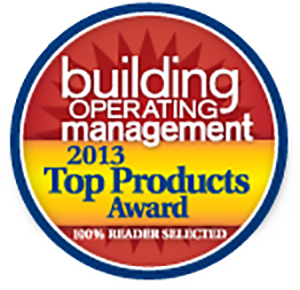 You have been selected as a recipient of the Building Operating Management 2013 Top Products Award. Congratulations, your product release for Permeable Articulating Concrete Block/Mat will be featured in the January issue of Building Operating Management as a Top Products Award Winner (at no cost!). The Top Products Awards recognize the most popular manufacturers and suppliers of the year, as determined by building and facility executives who participated in a national survey. The Building Operating Management Top Products Awards are 100% reader-selected - so congratulations, out of nearly 560 possible products, yours is one of the people's favorites! In addition to your product being featured as a winner, you will receive an award in the mail. Display it proudly - you earned it!